When administered by an amateur, non-surgical cosmetic treatments like dermal fillers have the potential to seriously damage your health and appearance. If you are looking for lip plumping or anti-wrinkle treatments in Bristol, don’t risk it. Use Save Face to find a reputable clinic and an experienced practitioner you can trust. Put your health first. Use the Save Face search engine today. At the moment in the UK, non-invasive cosmetic interventions such as dermal fillers, which are used to fill in wrinkles and plump up the lips, are almost completely unregulated. As a result of this, anyone, regardless of their skills, experience or qualifications, can offer these procedures to the general public without breaking the law. This is despite the fact, that when administered incorrectly (using inappropriate products or environments, for example), non-surgical cosmetic treatments can have serious, permanent adverse effects on appearance, health and wellbeing. In the recent Review of the Regulation of Cosmetic Interventions carried out by the NHS Medical Director for England, Sir Bruce Keogh, it was highlighted that consumers undergoing a non-surgical cosmetic procedure have no more protection than if they had bought a ballpoint pen or a toothbrush. 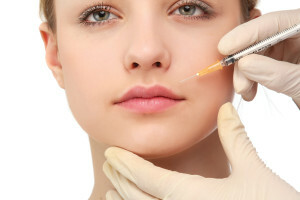 The review recommended that the government introduce legislation to classify dermal fillers as a prescription-only medical device and that those providing cosmetic interventions should be registered (along with a number of other recommendations), but the government has neglected to act. In the absence of a mandatory register of appropriately qualified non-surgical cosmetic practitioners, Save Face has developed an independent and impartial accreditation scheme. Doctors, nurses and dentists can now all apply to become Save Face Accredited as a way of differentiating themselves from unsafe, unethical practitioners. Every Save Face Accredited Practitioner is assessed on-site against a strict set of objective standards to ensure their safety, and their details are then held on our centralised register. By using the search engine below to find a clinic in Bristol, you can rest assured that the practitioner you select to administer your treatment is a qualified medical professional who uses quality products in an appropriate clinical environment. Use Save Face today, and stay safe, not sorry.